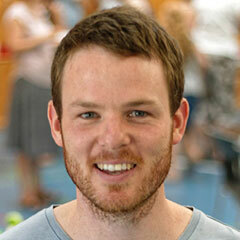 David Harrington is a Ministry Apprentice at Trinity Church Modbury. He enjoys long walks on the beach, the feel of the sand between his toes, the whoosh of the wind as it glides across his hair and the crash of the thunderous waves …Yeah? No. David is married to Madeleine and they have a baby daughter. He enjoys all sports but particularly surfing, squash, cricket and AFL (go Crows!). He also likes a good road trip. David loves music and especially how this can be used to glorify God. He is a member of a band who write songs based on the Bible, with a view to people singing them in church. David also loves getting alongside people, learning more about our awesome God and seeing people entrust their lives to Jesus. David looks after youth at Trinity Church Modbury.